Garibaldi wasn't just an Italian revolutionary. He lent is name to the Mexico City plaza where every night is a resorgimento of song! 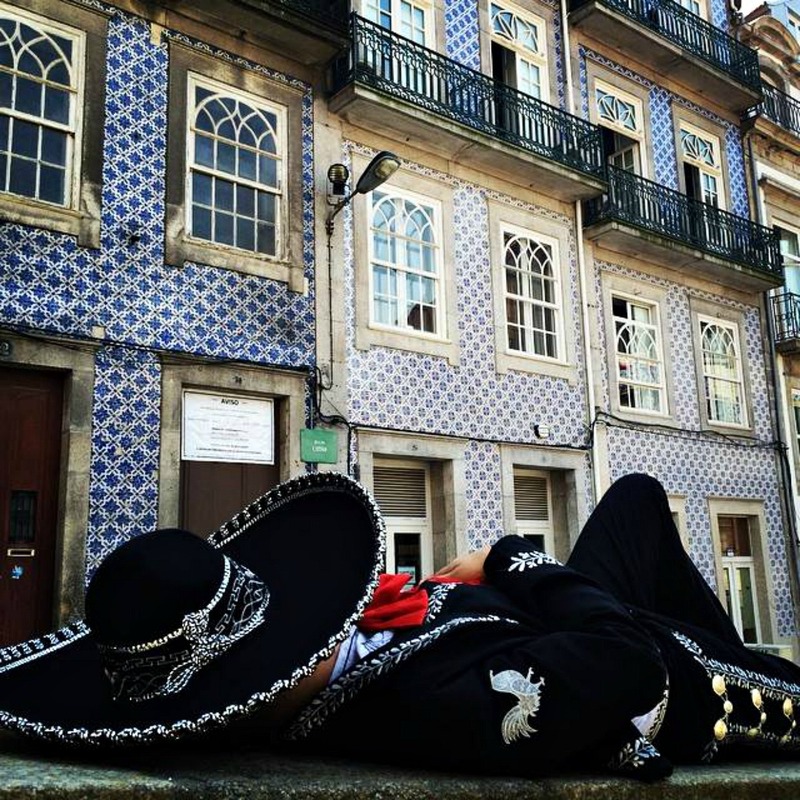 At all hours of the day and night, mariachi bands can be found playing or soliciting gigs from visitors in Plaza Garibaldi. 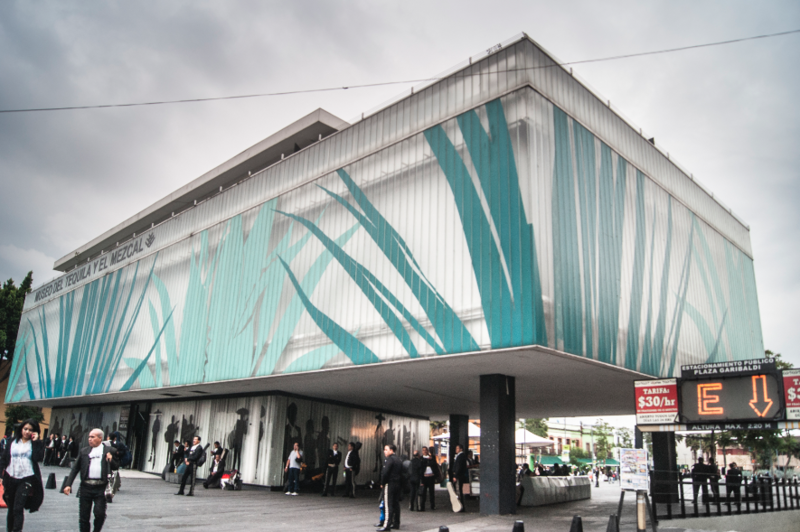 The Salón Tenampa, which became the home of mariachi music in Mexico City in the 1920s, is still in business on the north side of the plaza. Mariachi is a form of folk music from Mexico. It began as a regional folk style calle “Son Jalisciense” originally played with string instruments and musicians dressed in White pants and shirts. From the 19th to 20th century renamed this style of music as “Son style with its alternative name “mariachi”. The musical style began to take on national prominence in the first half of the 20th century, with its promotion at presidential inaugurations and on the radio in the 1920s. The word “mariachi” was thought to have derived from the French word “marriage”, dating from the French intervention in Mexico in the French Intervention in Mexico in the 1860s, related to the music’s appearance at weddings. However, there are documents that showed that the word existed before this invasion. Before the arrival of the Spanish, indigenous music was played with rattles, drums, flutes, and conch-shell horns. The Spanish introduced violins, guitars, harps, brass instruments and woodwinds. Indigenous and mestizo peoples learned to play and make these instruments. Besides instruments, the Spanish introduced the concept of musical groups—which, in the colonial period, generally consisted of two violins, a harp, and various guitars. This grouping gave rise to a number of folk musical styles in Mexico. Early mariachi players did not look like those of today; they played only string instruments such as guitars and harps and dressed in typical peasant clothing: white pants and shirts with huarache sandals. After the Mexican Revolution, many haciendas had to let workers go, including mariachis. Groups began to wander and play for a fee, which made them play waltzes and polkas. It also required them to play in public venues. In the early 20th century, U.S., record companies began actively recording rural music in other parts of the world. The Cuarteto Coculense in 1908 was recognized as the first mariachi recordings. The music also gained attention in Mexico City when a wealthy hacienda family brought an early Mariachi from Cocula to play for President Porfirio Díaz in 1905. Radio stations started broadcasting mariachi music in 1010, but songs had to be modified forcing the shortening of tunes. Around the same time, the popularity of Jazz and Cuban music introduced the trumpet into mariachi, pushing the violins into second place and sometimes replacing the harp. Mariachis from the state of Jalisco are the most prized, particularly the areas of Cocula and Tecalitlán. 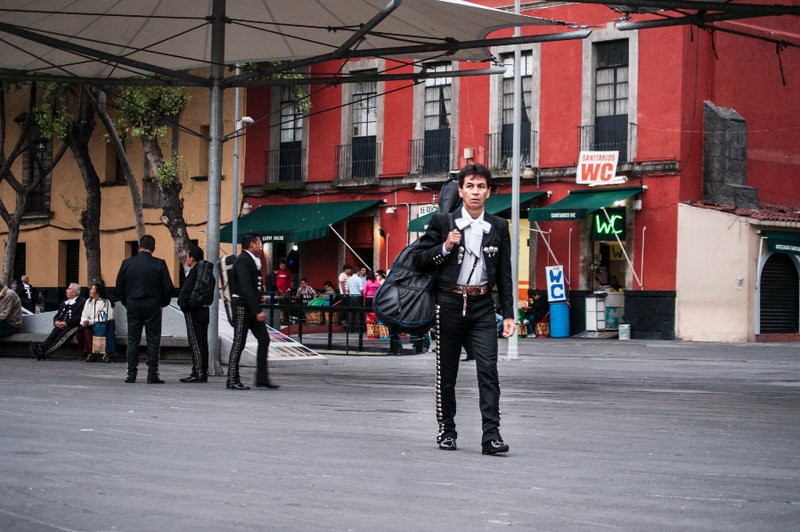 Mariachi music is a symbol of Mexican pride, honor and passion. After the Revolution, the charreada became a national sport. With the breakup of the large haciendas, charros were used as a cultural ideal, especially by the film industry in the mid-20th century. The first charro movies date from the 1920s, but the first to sing mariachi was Tito Guizar in “Allá en el Rancho Grande in 1936. Mariachi music became a genre used in films combining love and disdain in heartfelt passionate themes. In the early 1940’s and 1950s due to the success of Mariachi Vargas this genre became both professional and innovative, as the group added trumpets, violins and even a classical guitar, leaving the traditional son behind. Another innovation was the appearance of female mariachi performers like Lola Beltrán and Lucha Villa. Today, Guadalajara is the home of an International Mariachi Festival, an annual ten-day celebration that attracts more than 500 mariachis. Past players include Mariachi Vargas de Tecalitlán, Mariachi de los Camperos and Mariachi América. 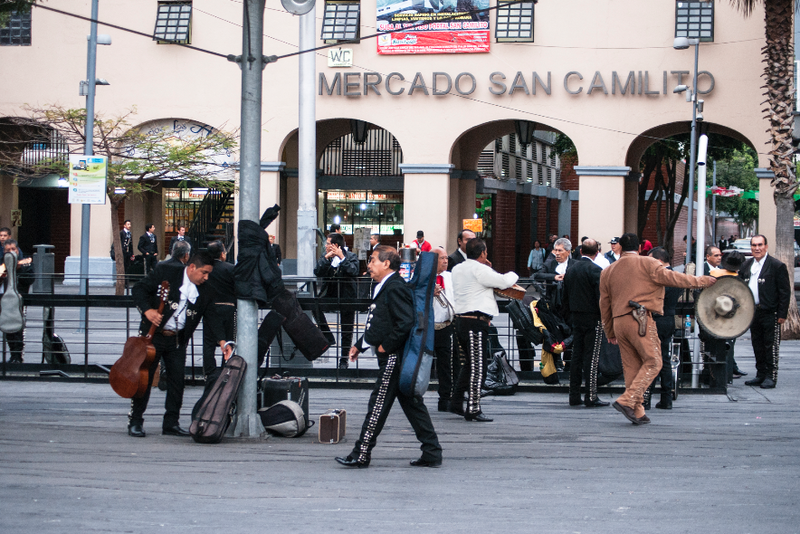 The government renovated Plaza Garibaldi in 2010, to make it more tourist-friendly, adding new paving, gardens, police, security cameras, painted facades, and a museum dedicated to mariachi and tequila. 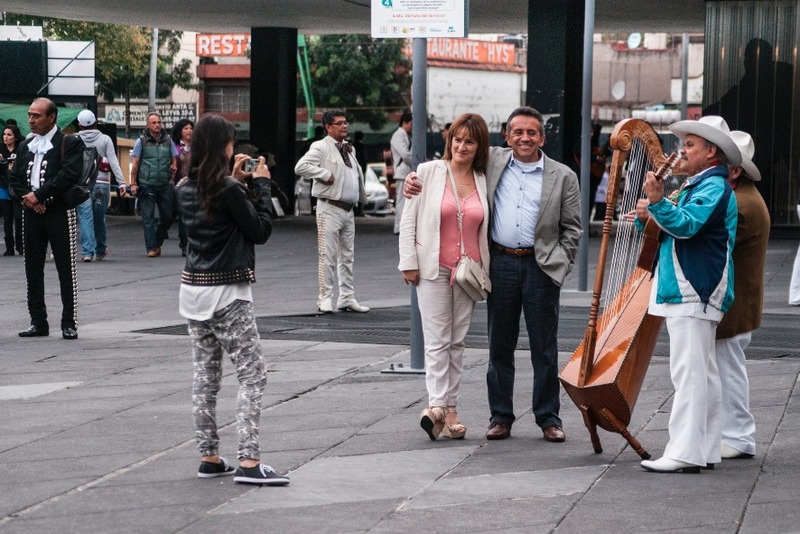 Although mariachis can be hired in Mexico City over the phone or on the Internet, many people still prefer to come to the plaza, hear the musicians and haggle to the price. In 2011 UNESCO recognized the music as an Intangible Cultural Heritage. Behind the Agave Garden on the Plaza there is a three-story building featuring the drinks’ origins, production and wide variety, and their place in the history of Mexico and Mexican cuisine. The museum also contains a tasting room. 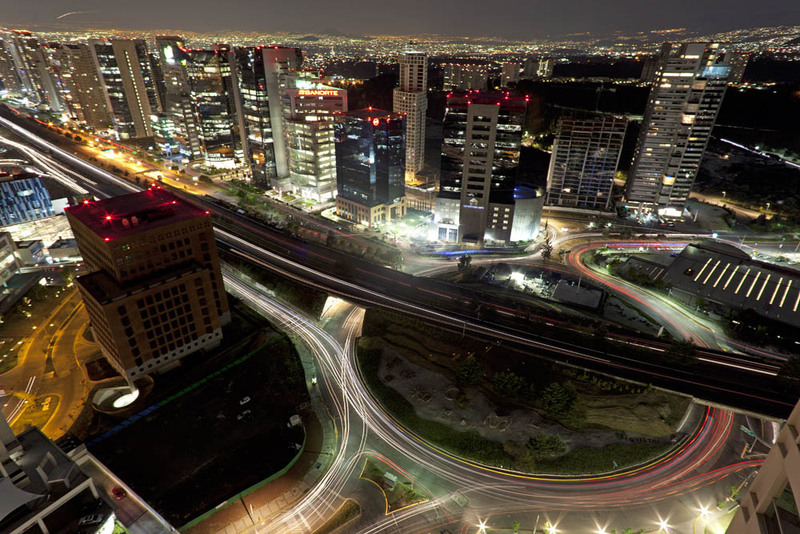 The project has a budget of 30 million pesos. 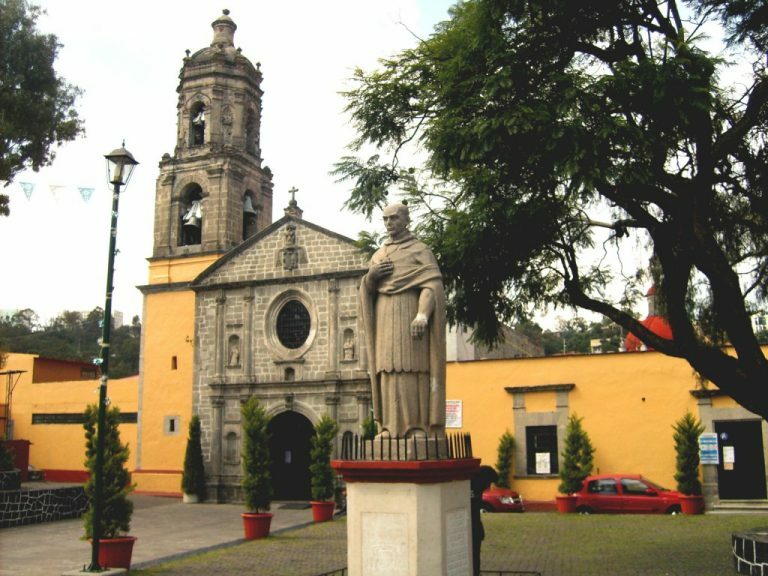 See the historic and cultural profile of Plaza Garibaldi. Plaza Garibaldi is located in historic downtown Mexico City, on Eje Central (Lázaro Cárdenas) between Calle República Honduras and República de Perú, a few blocks north of the Palacio de Bellas Artes. The original name of the plaza was Santa Cecilia, but in 1920, when the Mexican Revolution ended, it was renamed in honor of Lt. Col. José Garibaldi, who joined the Maderistas. In 1910, Garibaldi Plaza had a garden in the middle of it. Soon it would be paved over with a kiosk placed in the center. On both side of the plaza were statues of great Charro singers. Today the old kiosk and arcade have been leveled, as well as some of the older buildings on the east side of the plaza, to create more open space. Places to eat in Plaza Garibaldi include the San Camilito Gastronomic Market, which is filled with small stands serving Mexican food, many specializing in birria. Pulquería Hermosa Hortensia is a safe place for tourists and locals to try this native alcoholic drink. The best time to experience the plaza is on a Friday or Saturday night from 11:00 p.m. onwards. Garibaldi Plaza is located on Eje Central (Lázaro Cárdenas), a few blocks north of the Palacio de Bellas Artes. Parking is on Eje Central, under the plaza. If you prefer to take public transportation, take line 8 of the Metro or subway, get off on Estación Garibaldi and a few steps away you’ll see the plaza.